Hyde Park Corner: chances are that if you’ve spent any time in London you will at some point have been stuck in traffic here and looked at the honey-coloured house on the edge of park and thought no more about it. Once upon time it was known as Number One London and was the home of the country’s greatest hero; the Duke of Wellington. Shortly after his victory at Waterloo, a grateful nation granted him £700,000 to build “Waterloo Palace”. Instead he purchased Apsley House from his impoverished brother and set about transforming it into a home fit for a hero. Two hundred years later and the house is open for all to see. Opulent interiors awash with gold are what await you inside. Walls are hung with an impressive art collection. Joseph Napoleon helped himself to the Spanish Royal art collection during his stint as King of Spain and in turn the Duke of Wellington took the collection home for safe keeping. When Napoleon was vanquished, the Duke offered the paintings back but the grateful Spanish insisted that he keep the lot. Crowned heads from all over Europe also showered the Duke with high quality art for his new house. He displayed much of it in the magnificent Waterloo Gallery, ninety feet long and two storeys high. 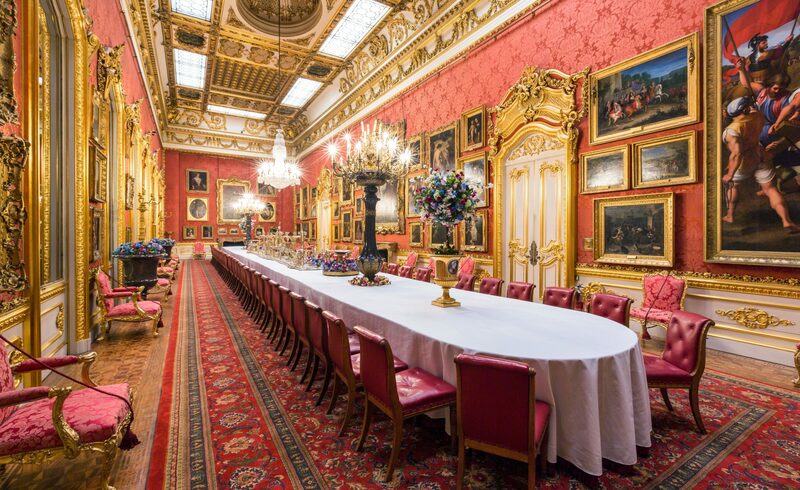 It was here that he held the annual Waterloo banquet to mark his great victory – the table is still there set for celebration. 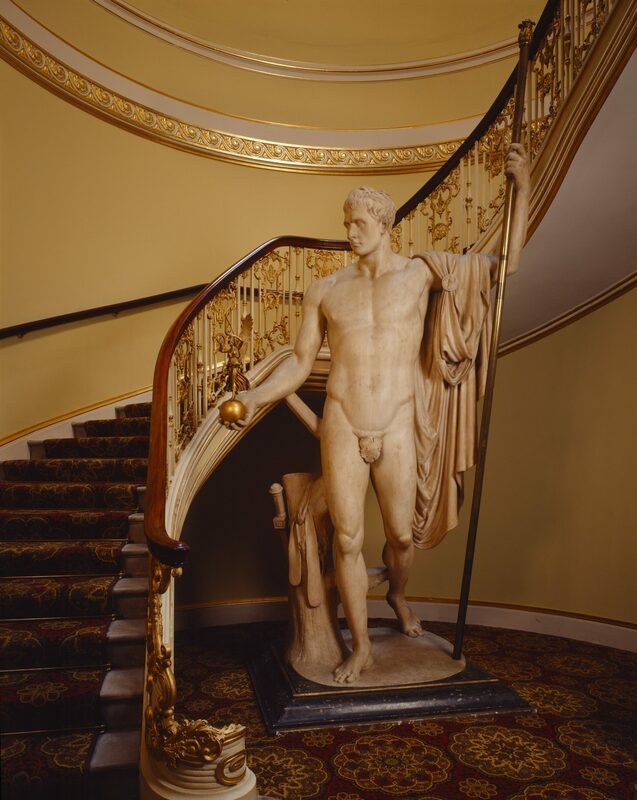 Set in the footwell of a spiral staircase is an enormous, naked, marble statue by Canova of Napoleon in the guise of Mars the Peacemaker. Napoleon had the statue made. In 1816 the British Government bought the statue from the restored French King and presented it to Wellington. Quite a keepsake! Teashops are thin on the ground at Hyde Park Corner. If you venture into Hyde Park and head toward the Serpentine you will be rewarded by a café with culture. The Serpentine Bar and Kitchen was designed by Patrick Gwynne who’s home, The Homewood, Cultural Wednesday visited last summer. 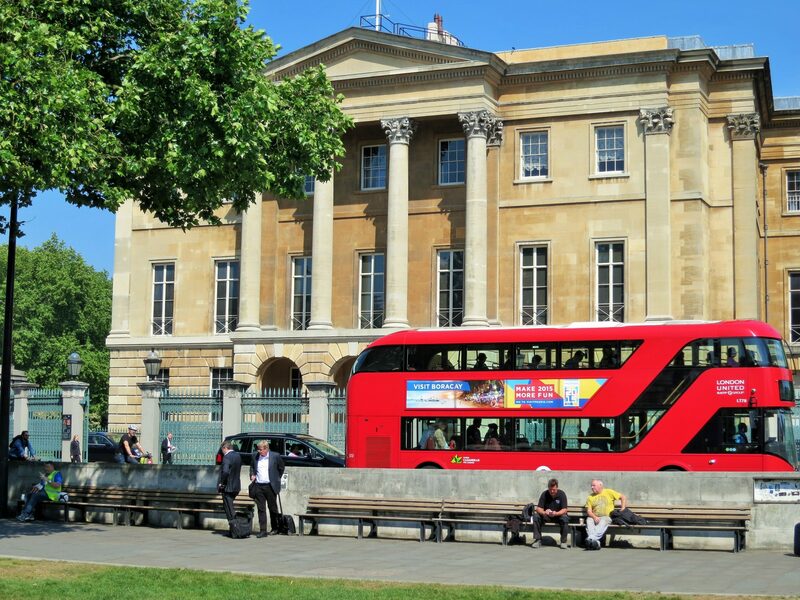 Apsley House is right opposite the Wellington Arch celebrating the great man’s achievements which you can also visit. I always wanted to see inside this place – this will be a Must See next time we’re in London.